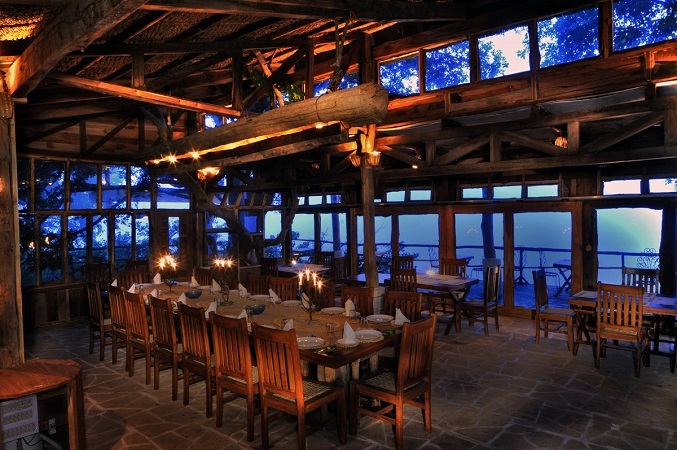 Ken River Lodge made a humble start in 1986 as one of the pioneers of wildlife tourism in the country. 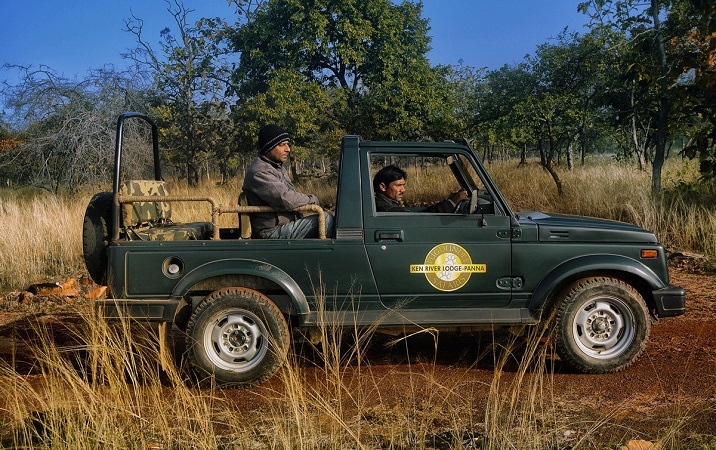 Driven by his passion for wildlife and conservation, Shyamendra Singh grandson of the Maharaja of Nagod, established the lodge. 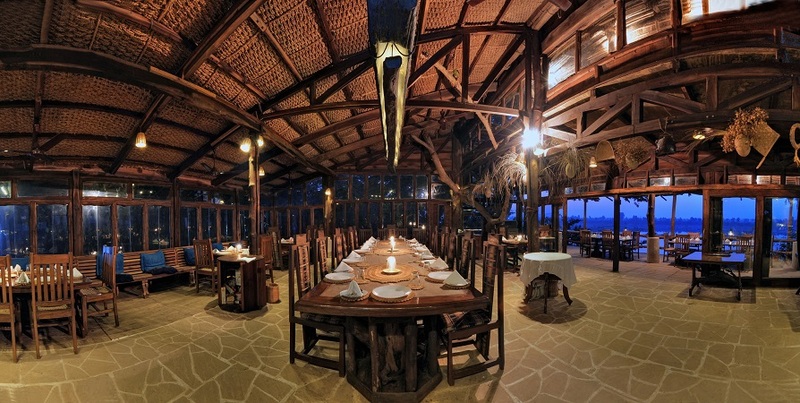 Set in a forested estate of 50 acres, it has been built with natural materials sourced mostly from neighbouring villages and surrounding areas. 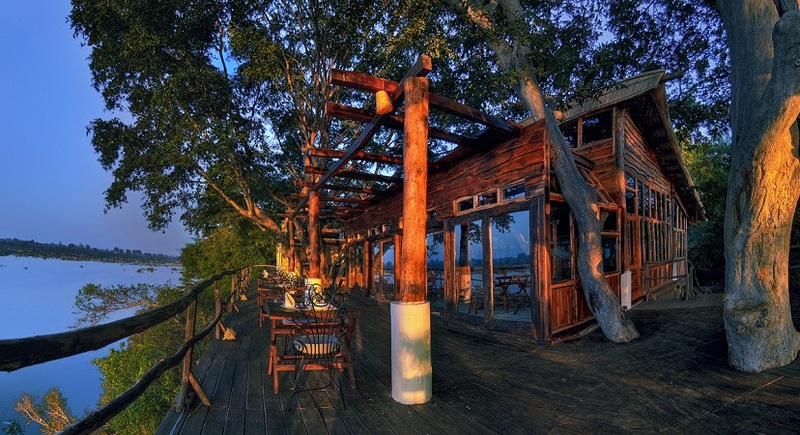 Its elevated position affords tremendous views over the River Ken from the magnificent Tree House. The area is home to many mammals, birds and reptiles. 6 village style air conditioned huts with attached modern bathrooms with w/c, hot and cold water, dressing room and sit out. 5 Family cottages (2 Bedrooms ) with attached bathroom with w/c,hot & cold water, living room, kitchenette and open deck. 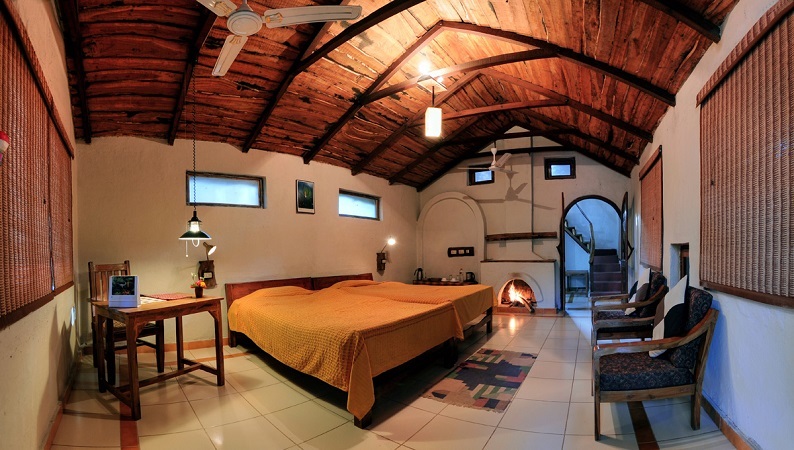 The lodge also boasts a 3000 sq.ft. Machaan were meals are served. 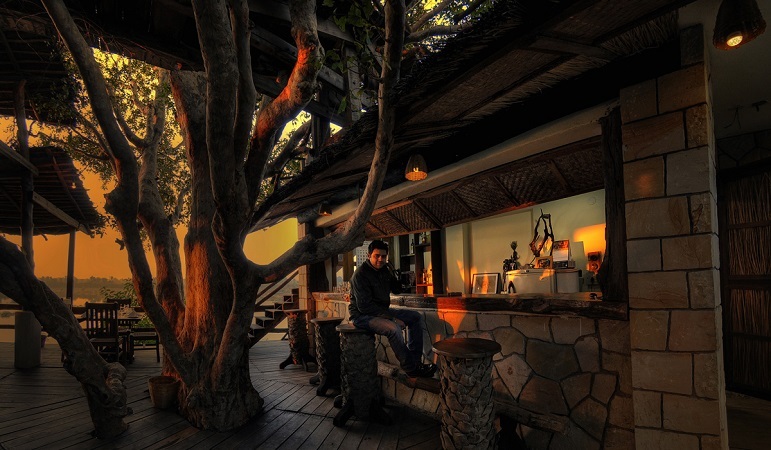 The machaan popularly known as the Tree House overlooks the Ken River and offers fresh home cooked meals. This is without doubt the highlight of the property and is a fabulous place to relax and absorb the lovely views across the river. 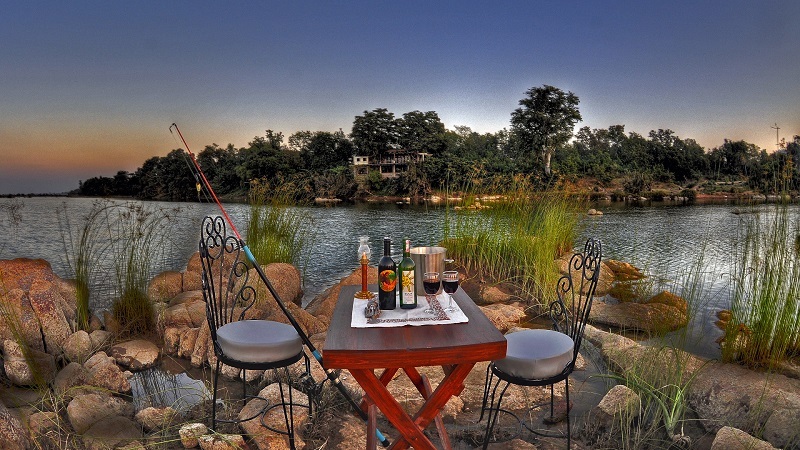 Activities include boating on the Ken River to spot some of the many bird species or even crocodiles, jeep safaris, visits to waterfalls and Ken Gharial Sanctuary. The famous temple complex at Khajuraho is a half hour drive away. Panna National Park is spread over 1645 sq. 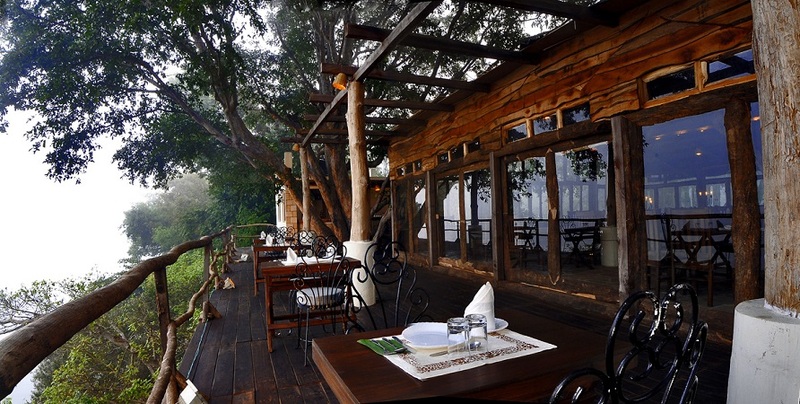 km and is predominantly an open forest offering great opportunity to view animals like Tiger, Sloth Bear, Cheetal, Sambhar and Nilgai. 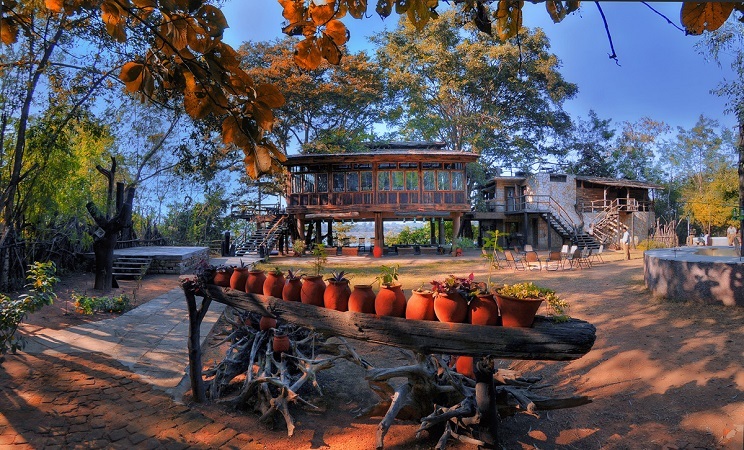 Panna is also home to crocodiles and over 300 species of birds. 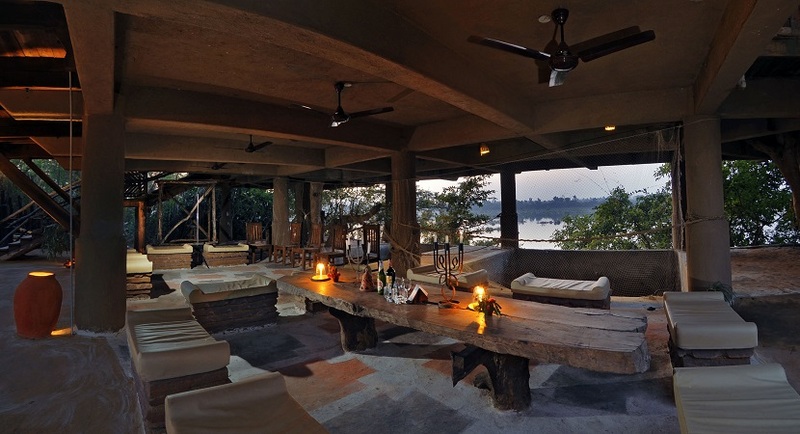 Your hosts at the property, are a team of well trained local staff, naturalists, boatmen, Shyamendra and his wife - together they will make your stay a memorable one.